Manchester United manager Jose Mourinho is reportedly ready to consider rejoining his former club Real Madrid if the offer comes in in the near future. While this is unlikely to happen too soon due to Madrid only recently appointing Julen Lopetegui as head coach, it seems from Mourinho’s end, he would no longer rule out working at the Bernabeu again, according to Don Balon. This development comes as Don Balon claims Mourinho has ‘a foot and a half’ out of Old Trafford after this difficult start to the 2018/19 season. The Portuguese tactician doesn’t quite seem the force he used to be at the highest level, with United not really making much progress since he took over from Louis van Gaal in 2016. Many United fans may well be tempted to see the back of Mourinho with the team not exactly playing an inspiring brand of football under the 55-year-old. 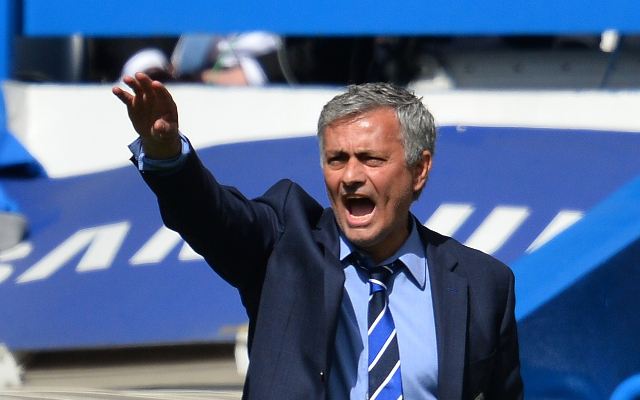 Jose Mourinho back to Real Madrid? Still, he remains a big name and Real could do with that kind of experience after losing Zinedine Zidane at the end of last season, with Lopetegui not really in that league. Meanwhile, it could well be Zidane replacing Mourinho at United as sources close to the Frenchman have told CaughtOffside he expects to be offered the job soon and has communicated that with two of the club’s players.